Room Filters - Selectkoi - Your online koi and pondspecialist ! AQUAKING FILTERBOX UBF ECO - An extraordinary biological filter with UVC combination. 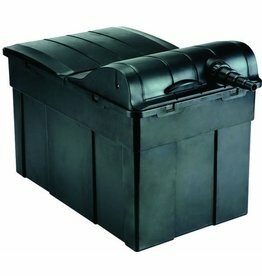 Poly Pond Systems linkable filters are ideal for builders. This filter unit are applicable in many ways. These units are easily linkable and by the large volume very convenient for moving bed filters. The unit's z ..
Multiroom Poly Pond filters from the series are a good and cheap solution for ponds to 25000 liters of water content and koi ponds to 15000 liters of water content. These filters are completely filled with commandments. 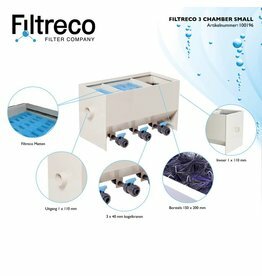 The Filtreco Multiroom filters consist of 3 bedrooms, each filled with carefully selected filter materials. High quality filtration of Poly Pond Systems. Poly Pond Systems HQ biological filters have been developed from years of experience in keeping Koi in high occupancy.